As more and more commercial real estate properties begin on a speculative basis, developers often start selling units as soon as an architectural model is available. Unfortunately, such models are not only expensive, but are also time consuming to build. Even worse, such models often do not present the detail that clients need, especially since they cannot be modified. AR Pandora is changing things by providing real estate professionals with all the information they need right in their pocket. With the Pandora Architecture program, real estate professionals can benefit from cutting-edge architectural presentations available directly on their tablet or mobile device. It’s no longer necessary for real estate professionals to be limited to making presentations in their office or transporting massive amounts of paperwork. Using augmented reality technology, the Architecture program makes it possible to present developments using any mobile device. Along with being able to toggle back and forth between interior and exterior views, amenity areas, and different floors, real estate professionals can also zoom in to see projects more clearly. Additionally, clients can use the program to see how projects will look during the day and at night. It’s even possible change the color of various objects, which can be beneficial for clients who really need to be able to see how a final project might look. In the past, agents often had little choice but to use actual paper floorplans to show clients the location of a unit. Now, all it takes is clicking a couple of buttons to show clients not only the location of a unit, but even the view from that particular unit. The Pandora program can also be used to create catalogs, videos, and images for direct marketing purposes. As a result, prospective clients located across the country or even the world can see 3D models by downloading the Pandora app or scanning ads. Pandora also offers a variety of other products that work in conjunction with the program, including a 3D Furniture Spec Sheet that gives users the ability to design and furnish rooms. Brands will now be able to deliver far more value to their clients while taking advantage of the ability to create more personalized and impactful presentations. The purchase of real estate, especially high-end real estate, is never a decision to be taken lightly. AR Pandora gives customers the opportunity to take professional-quality 3D designs home with them to review at their leisure and discuss with their families while making a well-informed buying decision. User-friendly interfaces and high graphic quality offers an exceptional user experience unique to mobile-augmented reality apps. Users are able to benefit from a product that is truly real looking, down to the most minute detail. 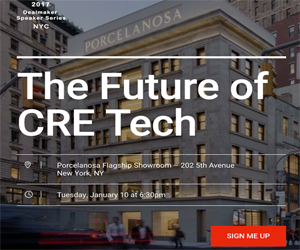 In an industry that continues to become increasingly competitive, AR Pandora is helping to disrupt the commercial real estate space by offering truly next-generation technology.